Winter is only halfway through and our avalanche radars in the northern hemisphere have already detected over 400 avalanches! The heavy snowfalls in the first half of January caused many spontaneous and artificially triggered avalanches in the Alps. But also in Scandinavia and Canada there was a lot to do for our avalanche radars. Since last winter, we have installed several new systems worldwide. 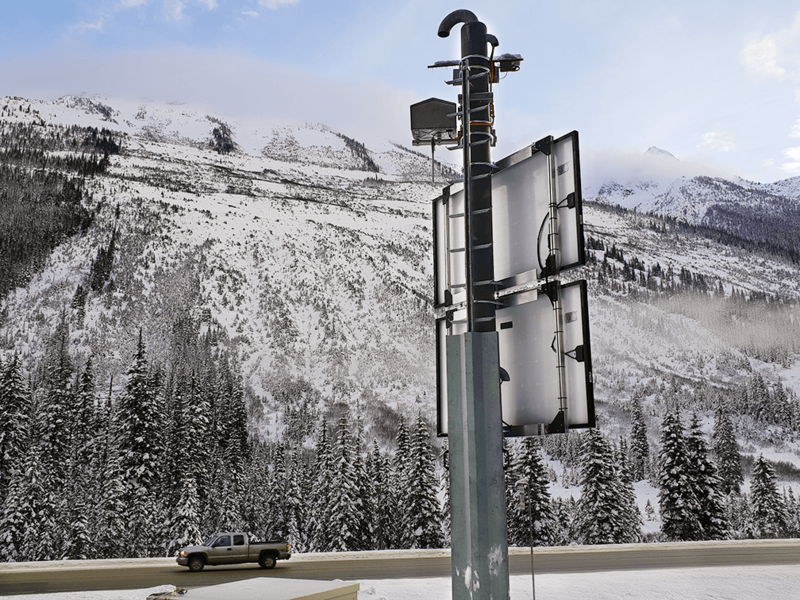 Our avalanche radars now detect avalanches on three continents: In Canada, a Geoprevent Avalanche Radar monitors a critical section of the Trans-Canada Highway at Rogers Pass – a project in collaboration with Wyssen Avalanche Control. 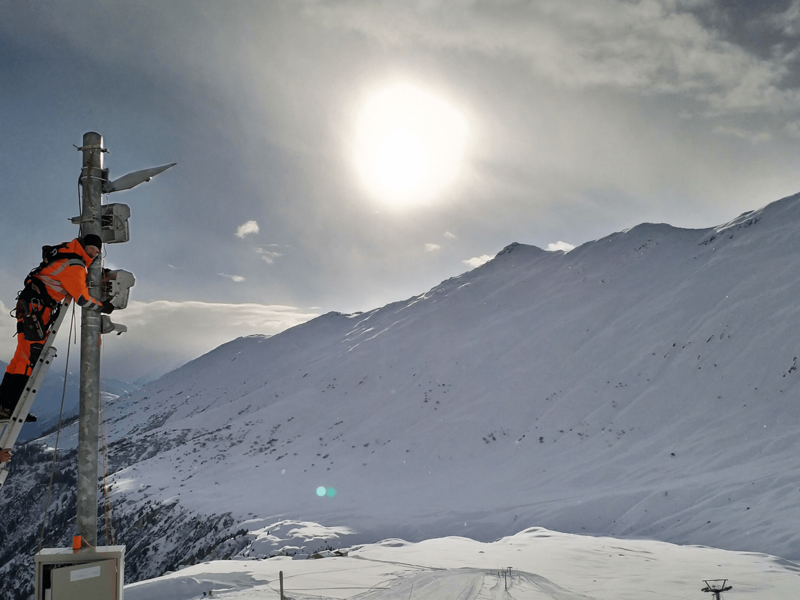 Our first avalanche radar on the Southern Hemisphere, monitors the access road to a mine in Chile and in Switzerland, we also installed further avalanche radar systems, e.g. on the Belalp, in Quinto or in Gonda (Engadine). The Rogers Pass avalanche radar in Canada. Avalanche radar installation at Belalp. The Belalp avalanche radar monitors several avalanche paths on the opposite slope and supports local safety managers in verifying avalanches both spontaneous and artificially triggered. The avalanche slope at Belalp (ridge avalanche) is 3 km wide and ideal for our radar with 90° opening angle. The major advantage of radar, the reliable detection of avalanches in all weather conditions, day and night, is clearly demonstrated here once again. This system further includes a people radar for automatic detection of ski tourers and snowshoe hikers on the avalanche slope. The radar tracks the people in this area and marks them on a map. This is important information for the safety managers to ensure no one is in the area at risk prior to artificial avalanche release.